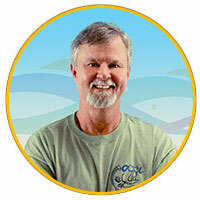 Michael Kirkhart is a State, National and World Champion fish reproduction artist. Michael began to develop his life long fascination and skills as a taxidermist at the age of eight years old. With tremendous support from his family and friends then and now, he appreciates the accolades now as the blessings and gifts they are to his career. Some of his career successes to his efforts are: working with the late Ian Pike and Steve Mathews of Australia on giant Marlin and The Great Barrier Reef Tropical fish; Building a 30,000 square foot museum for Governor Tom Bolack in Farmington, New Mexico; Working with New York contemporary artist Donald Lipski on the Miami International Airport display in concourse D; Sculpting and producing the Turtles on Parade for Stuart’s Arts Council benefit program; Sculpting oversized species and world records for private collectors and individuals worldwide; Most recently working with the Creative Imagery Department producing fish for the Bass Pro Shops store displays. 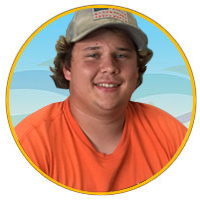 Michael has served on the Board of Directors in the National Taxidermy Association, as well as the Vice President and President. Michael is an active judge for the NTA. Michael was awarded the Pioneer Award for his dedication and devotion to the industry. The list of projects and accomplishments could go on and on, but credit goes to the blessings of God the creator for the gift of talent and family that drives, motivates and supports these accolades. This family has successfully worked together to create fish art that turns heads, wins awards and establishes them as the industry’s leader. Deb is the heart and soul of New Wave Taxidermy. Advertising and marketing are her specialties and passion. She is responsible for all of the media that New Wave Taxidermy produces. She has been instrumental in the creation of our web site and catalogs. Deb was the creative edge behind the Bolack Museum. She created kelp, textures, corals and scenery just to name a few. 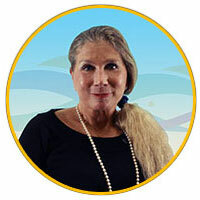 Deb was also in charge of the design concepts working with Donald Lipski in the Miami International Airport project. From a creative standpoint to a managerial role, she is always there to ensure that things go smoothly. She has even found time to take home an award from the National Taxidermy Association Show in the artistic design category. She is very appreciated for her interior design abilities. 25 years ago, you would have seen a 5-year-old Buddy Kirkhart running around the shop and studying his fathers work. From an early age, he has shown great interest in the taxidermy business and now is an integral part of the day to day production of New Wave Taxidermy. When you look over the mount you receive it will have Buddy’s trademark style of details all over it. From mouth interior to the eye rotation, fin position and details like setting each tooth in a 1000lb Mako Shark just right. He is meticulous. Buddy won the Children’s Horizon Award with a shark head mount at the age of twelve at the State and National Taxidermy Association Show. More recently, he has won the Best of Category Fish Reproduction Award at the Florida State Taxidermy Association Show two years in a row. Mark is incredibly fun to work with and plays the role of castor at New Wave. Very much the unsung hero of the shop, he keeps a steady pace and is meticulous in his details. He has amazing skill with clear fins, thin casts, and making sure that all casts are correct in direction as well as dimensions. The team has lots of love for Mark and lots of fun teasing with him. Fortunately, he somehow survives with a smile. With tunes on the stereo and his willingness to help you at any moment, Mark’s personality is awesome and the workday flies by in his company. Mark also crates all of our outgoing mounts and is currently learning how to finish fish. He loves bass and hopes to someday handle all of them for New Wave. 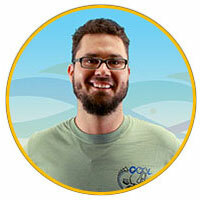 He also loves to hunt and to help others, he’s an invaluable member of our team.